Caring Options is a free, personalized service specializing in the Phoenix and Scottsdale area, to assist families in finding the best senior housing for their loved one. We understand the challenges associated with selecting an appropriate care facility. By working closely with family members and meeting with the client in person, we can identify individual needs, financial considerations, geographic and personal preferences. Then, we will present you with only the most suitable choices which results in the best match. Our mission is to provide outstanding, caring service. We provide the same care and consideration placing your loved one, as we would as if we are placing a member of our own family. Caring Options was created in 2007 by Linda Miller. She saw a need for a service that provides more one on one attention and guidance for each of her clients. Her expertise, dedication and compassion sets her apart from the other senior placement agencies. Linda has worked in geriatric healthcare for over twenty five years. She has extensive experience working as a referral specialist. 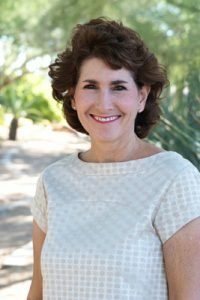 She also worked at a Scottsdale based skilled nursing facility as the Director of Social Services. During that time, she was awarded Healthcare Professional for the state of Arizona by the Arizona Healthcare Association. Linda’s passion is assisting seniors. She goes above and beyond to ensure that each client receives the best service, recommendations and education. She will ensure you have all resources that may be helpful to you and your loved one. Linda feels it is a privilege to help you and your loved one through this significant transition. Ashley’s passion for working with older adults started in high school while she was serving tables at an Assisted Living Community. She saw the difference she made on the resident’s day by showing compassion and giving them each personal attention, which drove her to want to do more than just help in the dining room. In college, Ashley volunteered at an adult day care and took many gerontology classes to learn more about the process of aging and options seniors have when it comes to care. 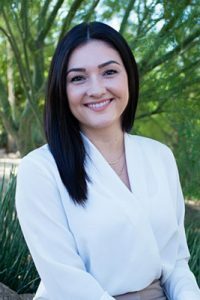 Her career continued at an Assisted Living and Memory Care in Phoenix where she helped many individuals and family members make the transition into senior living. Ashley is now working with her mom at Caring Options to offer a more personalized approach to the process.